A different version of our most basic CV template, this clean template uses alternative alignment to help make your CV stand out. Sections are included for your personal information, work experience, achievements and skills together with your education. New sections are easy to create in the same style via copy and paste. Alternative basic CV template	Overall rating:	3.5	out of 5 based on 2	reviews. 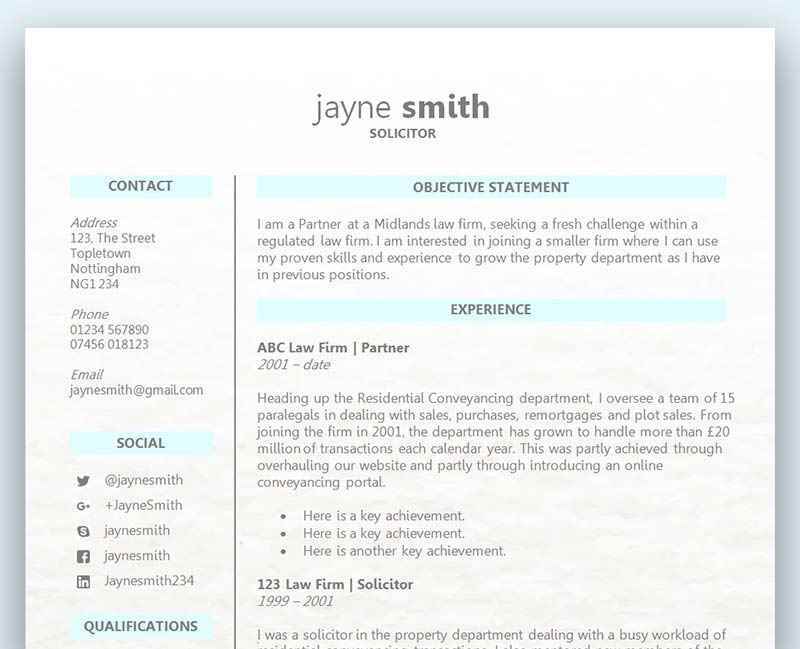 Keep your information in focus with our clean, uncluttered CV template in Microsoft Word format. Simple lines divide up your information while the alignment adds a small stylish touch that will help your CV stand out from the pile. One of the best ways to ensure your CV stands out from the rest of the competition is to create a fantastic employment history section that does much more than give the usual ‘boring’ information about where you worked and what you did. If you have an extensive employment history, then you may want to consider holding back on the irrelevant section and focus on what you believe to be important to the new role you are applying for. There is no need to take up value space on your CV with a huge list of roles and tasks that are not applicable to the new position. Look for the roles that the hiring manager will be interested in seeing and make sure you bring those to the forefront. A gap in your employment history is very likely to put off the hiring manager, and for a number of reasons. They could believe you are covering something up, or possibly have forgotten to fill that timeline in – so possibly a mistake on your CV! With literally hundreds of CV’s to read and shortlist for an interview, you can’t afford to give a reason to end up on the ‘no’ pile. For further information on how to explain a gap in your employment please click here. If you would like some helpful advice on how to prevent an employment gap, please click here. The key to success lies within the level of detail provide in your employment section. In addition to stating your past roles, tasks and responsibilities you need to also supply actual stats, figures and results, as well as information on your promotions. An employer is not only interested in what experience you have, but also how you performed in those roles. By providing your actual results and performance stats you can get well ahead of other applications who simply list their past job titles. Depending on the role, you should be able to not only provide your past results but also explain scenarios and situations where you excelled. This could be anything from dealing with and resolving customer complaints to your ideas that were implemented and increased turnover or customer experience. Jotting down any promotions you gained within a past role is also a great way to showcase your performance. Don’t forget to also state how you achieved the promotion!